This guide will help you access your personal H drive network storage space and the academic T drive. There are multiple methods to connect to the network file servers. 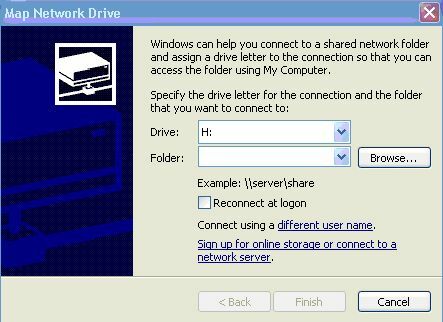 Faculty and Staff familiar with Adding a Network Place may find instructions at Windows Network Shares Training. 2. 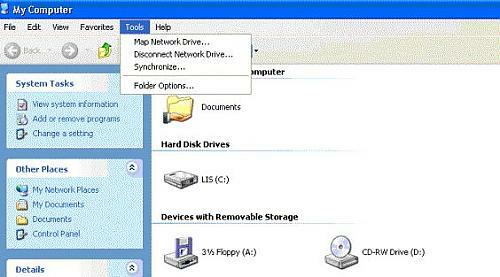 Click Tools and select Map Network Drive. 3. Change the Drive Letter to H: (or T: for the Academic T Drive). 4. Type the full path for your H Drive. 5. Your computer will attempt to connect to the network server. 6. Enter your Norse Key when prompted. 7. Your drive will appear under My Computer. 8. To disconnect, Right Click on the drive and select Disconnect.